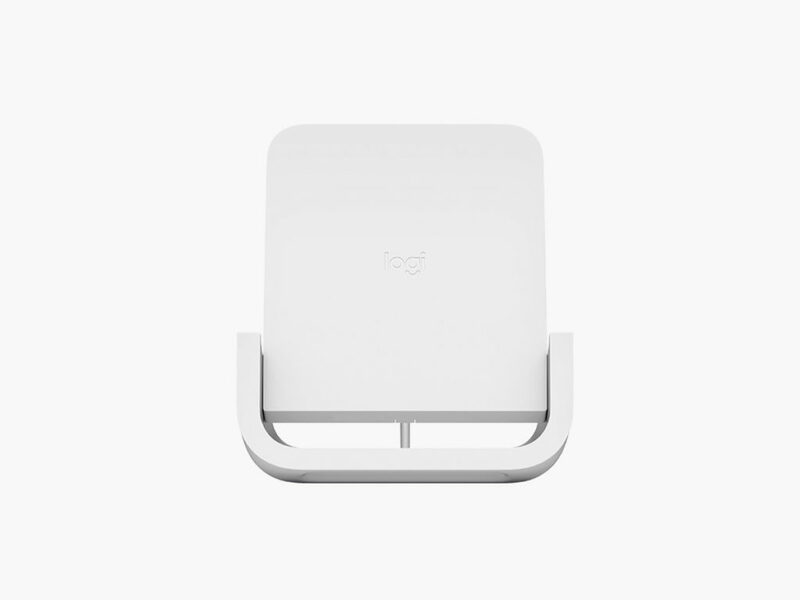 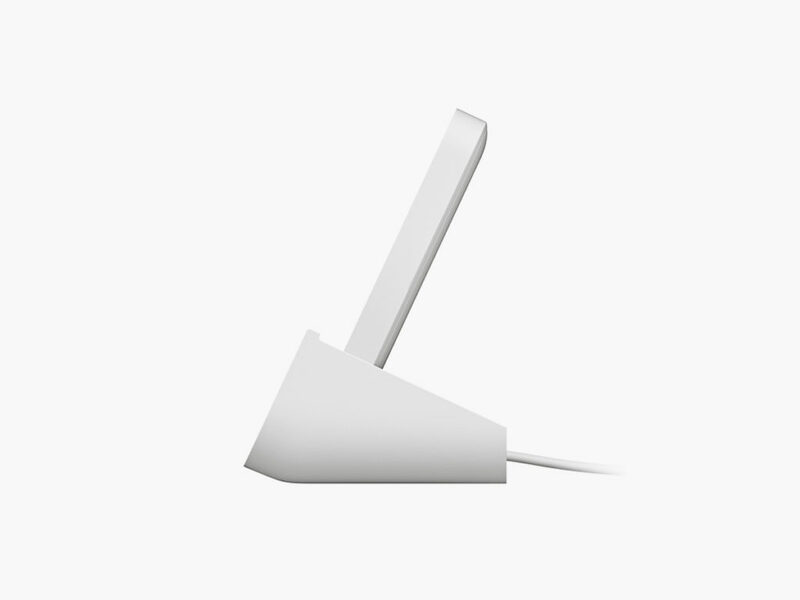 An upright iPhone charger, for comfort and ease of use while charging. 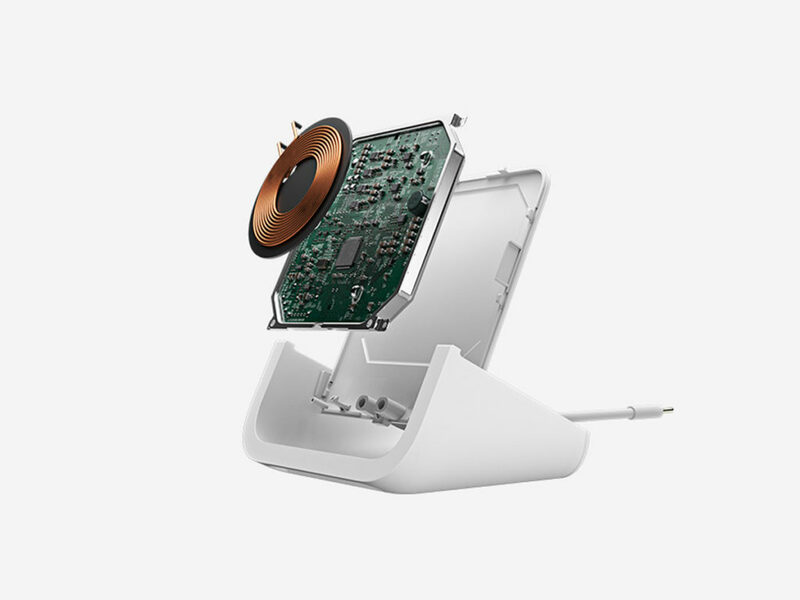 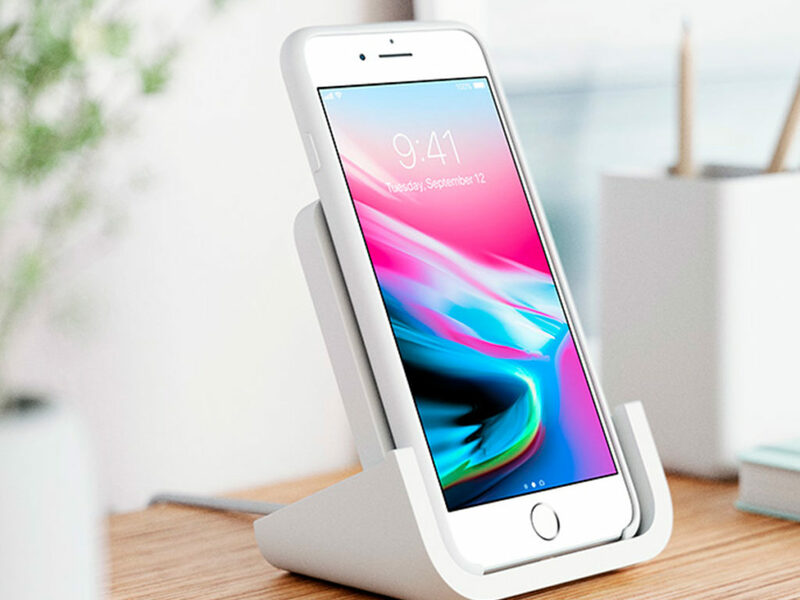 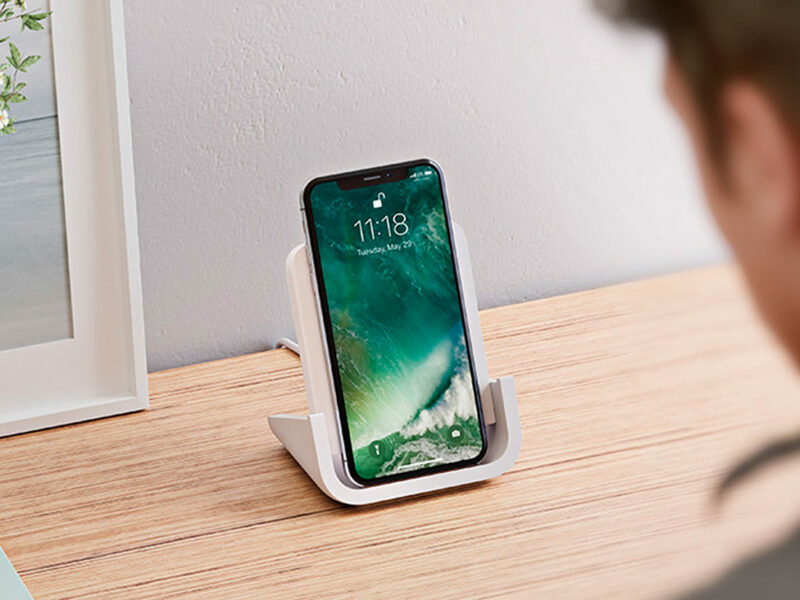 Building upon more than 35 years of electronic design experience according to its exceedingly high standards, Logitech has released an upright wireless charger specifically optimized for the iPhone X, 8, and 8 Plus. 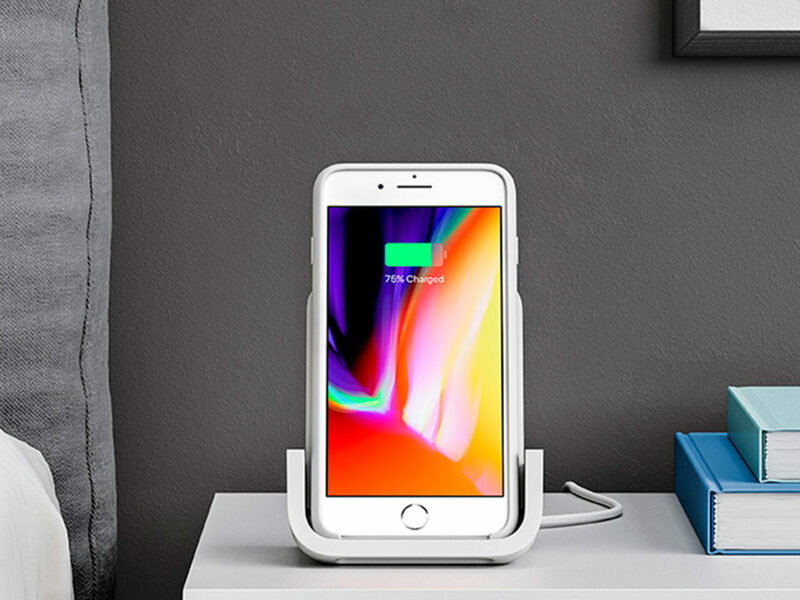 First of all, the POWERED charger lives up to its name by delivering up to 7.5 watts of power. 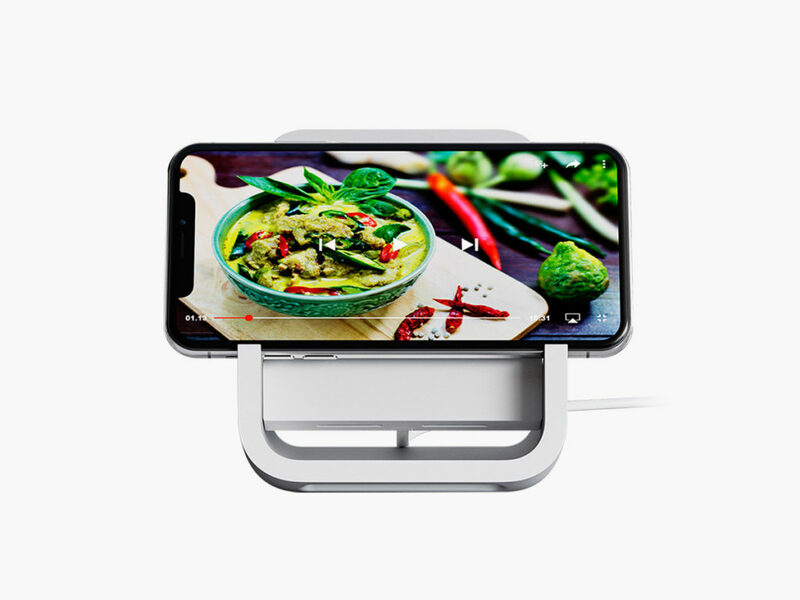 And with its intelligent internal heat sensors and automatic temperature management, it can charge your phone without danger of overheating. 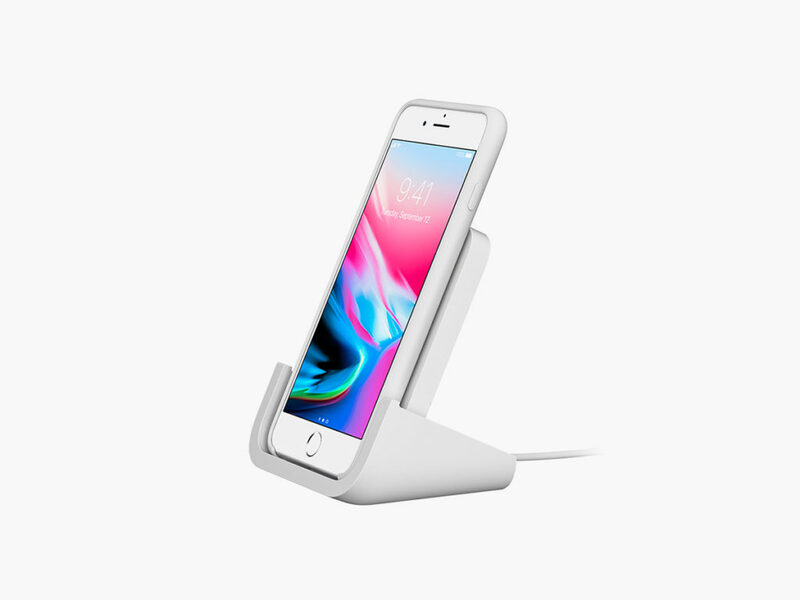 The POWERED device sets itself apart from its closest competitors by serving as a highly functional and versatile iPhone stand. 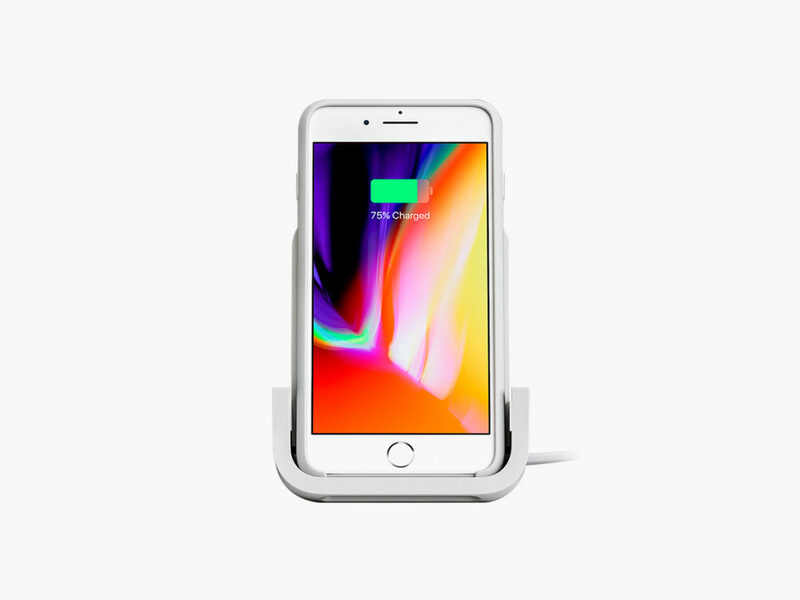 Maximizing ease of use, you can keep your favorite apps running and in plain sight throughout the entire charging process. 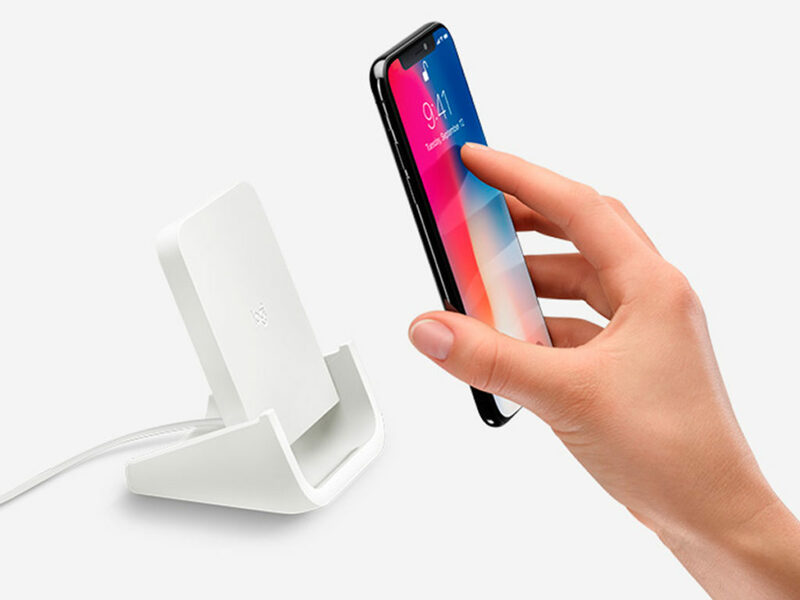 Want to read and send messages with your phone in vertical “portrait” mode? 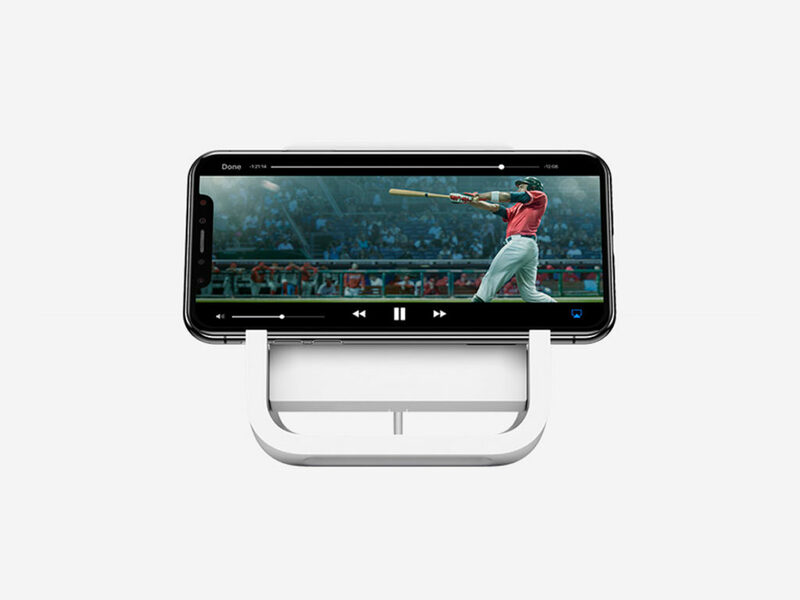 Or would you rather relax with a move in horizontal “landscape” mode? 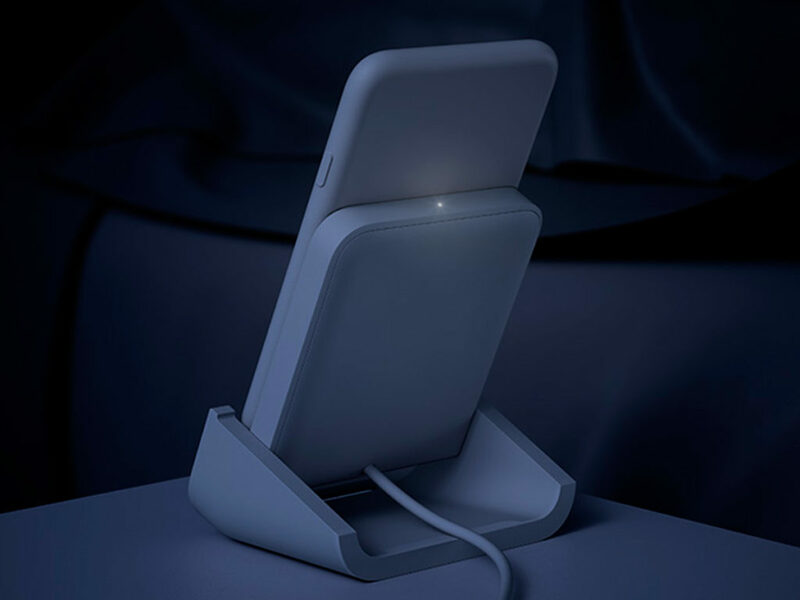 The POWERED can hold and charge your phone both ways.